Bear McCreary discusses his score for the episode "Rebirth" on his blog, and includes several samples of his music. Of course, most "Battlestar" fans interested in "Caprica" had probably already seen the first episode, since the pilot has been available on DVD and online. 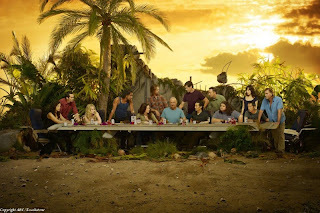 Syfy says that between Hulu, iTunes and Syfy.com, they've received about 2 million viewers pre-premiere. The second episode is always more telling than the first, and this time that goes double for "Caprica." Besides last Friday everyone was watching Coco. But, there's no new Conan tonight, so everyone will watch Caprica, undoubtedly. 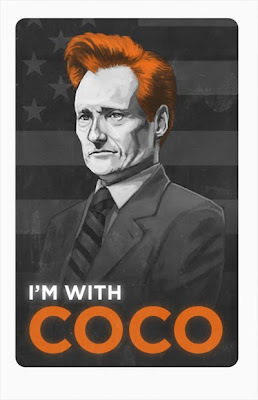 Even Conan himself might be watching, along with the rest of the people of earth. And if you did miss Conan last week, his last show is still on Hulu. So, there's no reason to miss out on Caprica tonight. Maureen Ryan of the Chicago Tribune is auctioning off items of TV-related swag that she's accumulated over the years in order to raise money for Haiti relief. 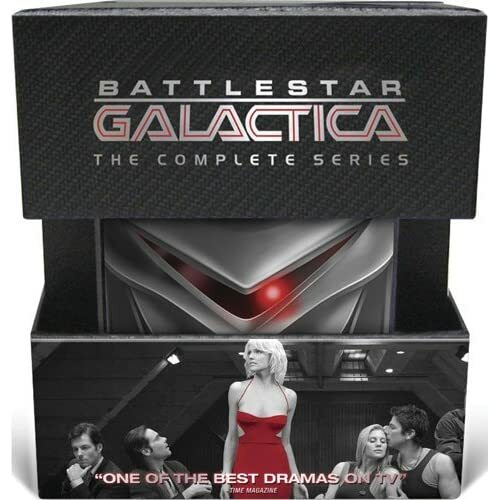 So you can get your hands on items promoting Battlestar Galactica, Lost, 24, Chuck, Damages, Deadwood, Torchwood, Life on Mars, and tons of others. And you can help the people of Haiti recover at the same time. So, check it out. Visit here to find out all the details. Know your place in the universe. Pretty frakkin' clever. Field trip anyone? I have good news for all you fans of CAPRICA and of awesome long recap reviews - Jacob at Television Without Pity has picked his baton back up for the new show. Love it or hate it... Stay excited. Here's the promo shown after the CAPRICA pilot last night on SyFy. In it you get glimpses of upcoming roles played by Scott Porter (FRIDAY NIGHT LIGHTS) and Patton Oswalt, and a bunch of new footage. How many episodes have you seen? I've seen the pilot and two additional episodes, and the post-pilot episodes are less focused and more melodramatic than the pilot. 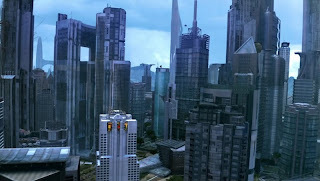 In its early going, "Caprica" doesn't have quite enough narrative drive; there's a certain choppy quality to the proceedings, as episodes jump around among the characters' somewhat separate story lines. Still, it took "Battlestar" a while to find a consistent tone and to hit its creative stride. If the handsome-looking "Caprica" can beef up the urgency, unify the storytelling and make me care more about the characters' dilemmas, it should take its rightful place as Syfy's flagship drama. Why did you feel a little guilty when watching it? I didn't love it as much as I loved "Battlestar," but I had to remind myself that my affection for that show developed over several seasons. "Caprica" is a different show with a different tone and goals and I'm OK with giving it time to prove itself. If the show is guilty of anything in the first few episodes, it's of trying to do too much, which is preferable to a lack of ambition. 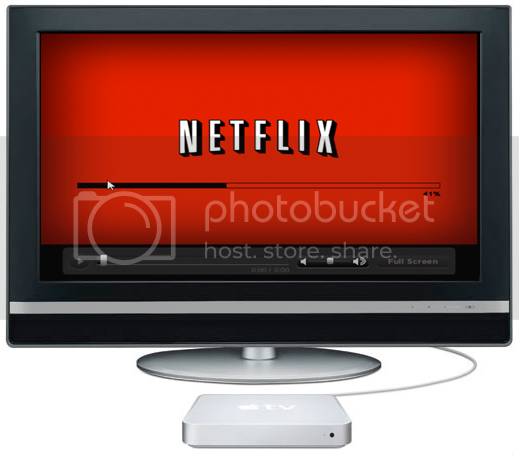 Feel free to tell us what you think about Caprica, in the comments to this post. Enjoy the show! The New York Times reviews Caprica. Find out more about Caprica here and here. On his blog, Bear also writes about and showcases samples of his score for the new video game Dark Void that has just hit the stores. Also fun: SyFy has opened a great news blog, The Caprican. SyFy airs The Plan Sunday the 10th, so if you haven't seen it on DVD yet, check it out. An excellent review of The Plan by Ben Scarlato for the Institute for Ethics and Emerging Technologies. And Nicole Anell provides an entertaining view of the film on Live Journal. 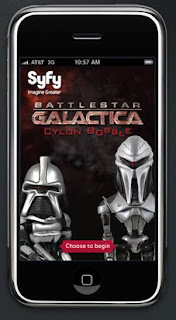 And when you visit SyFy's site, and you are an iPhone or iPod touch user, be sure to download the free Cylon Bobble app.